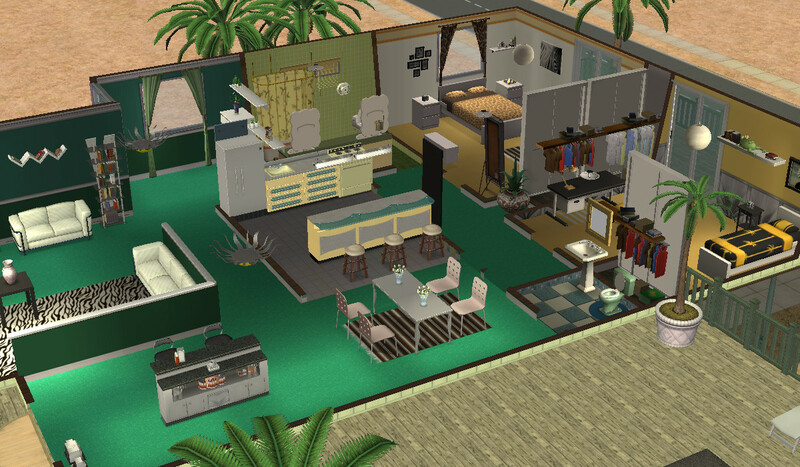 My very first beach home is not actually located in a beach lot. Why, you may ask. 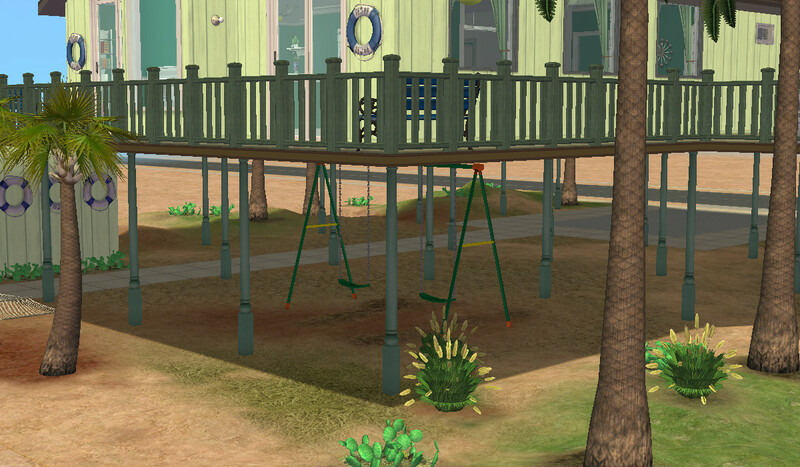 Simply because this will make the lot easier for me (and hopefully for others) to play in different locations! If you want to achieve the perfect beach-y look just locate it right by the sea - but not on the sea shore as you would do with beach lots. The building itself has a quite classical style but the new owners decorated it in a bit modern way - who said beach wooden houses must look tropical? 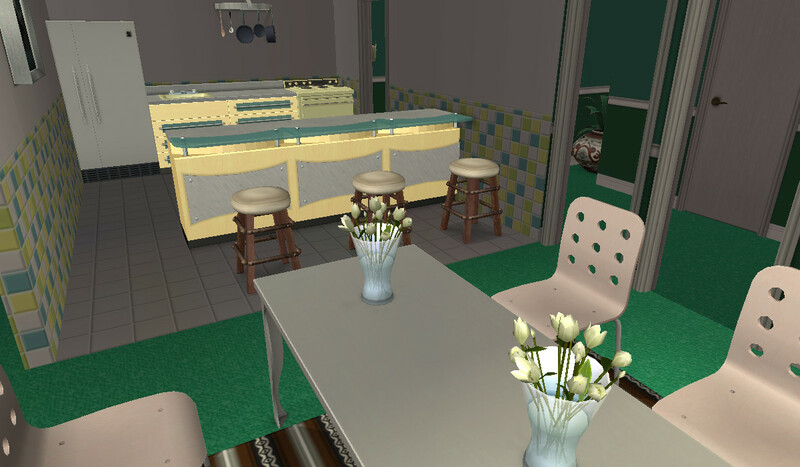 The living room is separated from the dining room (and bar) with a half wall which lets the sun in. Also connected to the dining room you can find the kitchen and half a bathroom - so visits don't have to wander into the rest of the house just to pee. 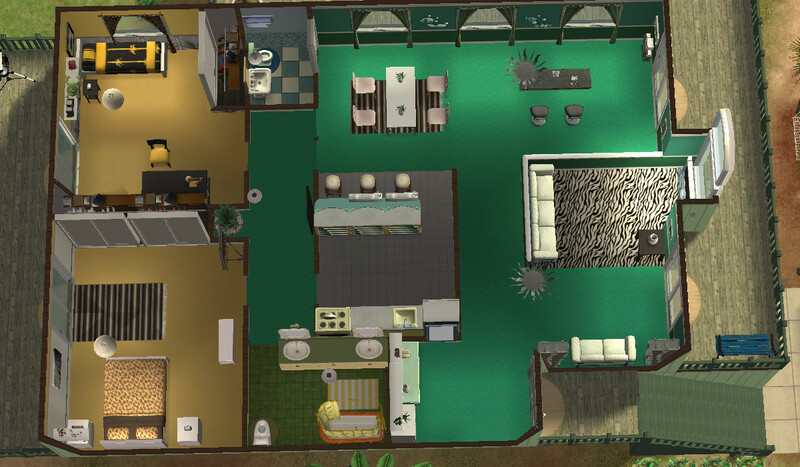 A hall will lead your Sims to both the bedrooms and the complete bathroom. And enjoy yourself on the outside deck, having a bath in the hot tube. There is not much built on the lower floor (floodings, remember?) so the empty room was used for a little playground and a driveway. 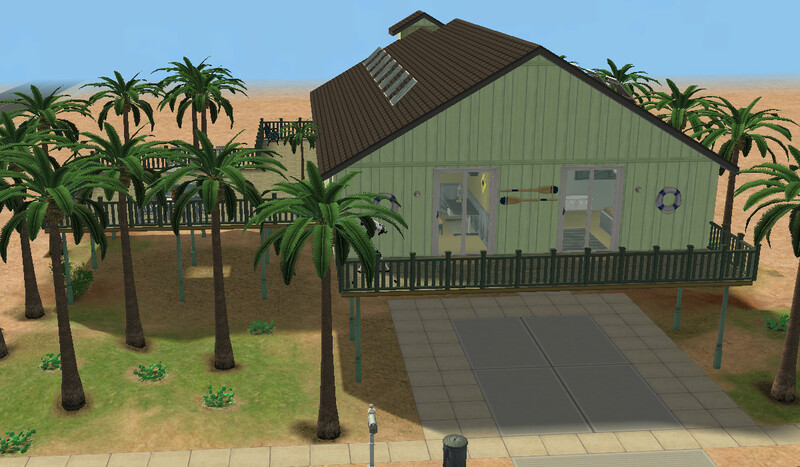 And since it's a sunny location there are several solar panels - so your Sims won't have to worry about the expensive price. You will find 2 different versions to download. 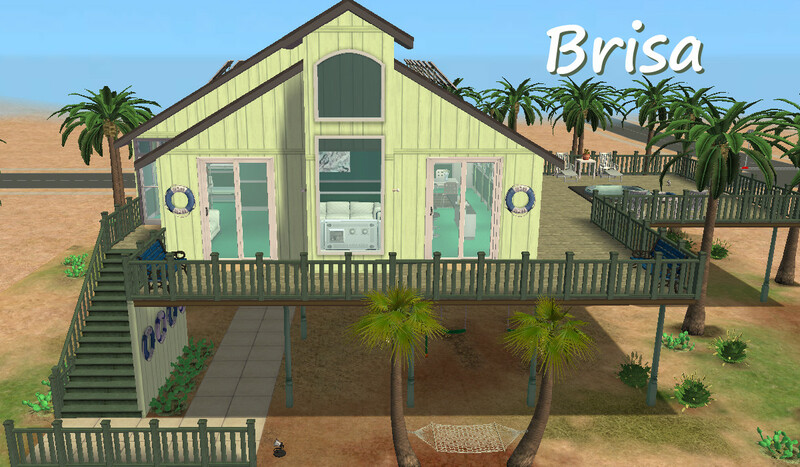 Brisa is the furnished version and its price is §96,417.